Hi, this is Randy Bryce. You might know me as better as “Ironstache,” or maybe as the guy who scared Paul Ryan into retirement earlier this year. I’ve spent my whole life fighting for working people: as a candidate for Congress, as a veteran, and as a union ironworker and organizer. 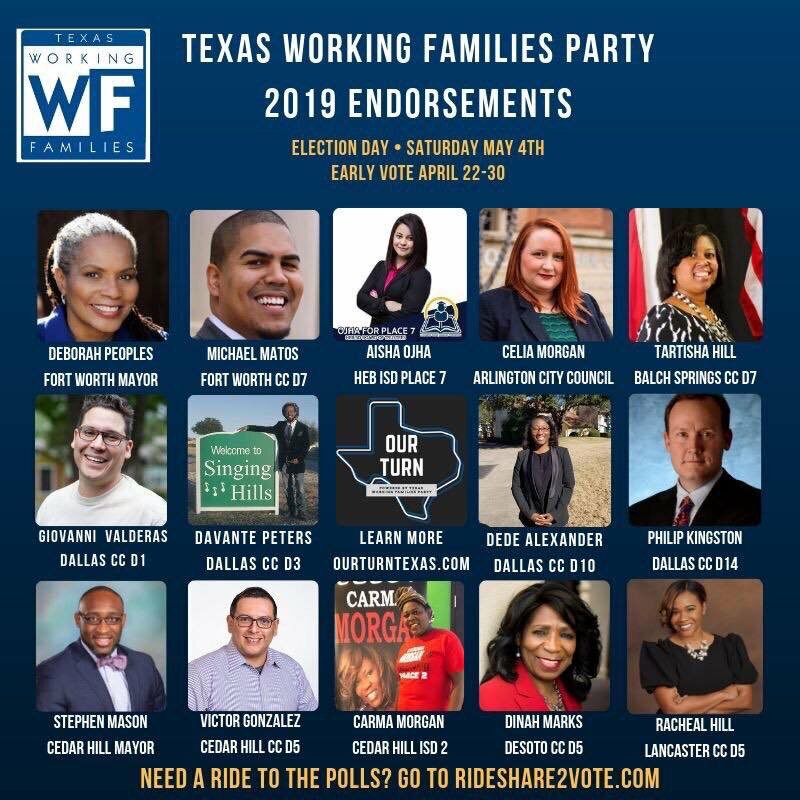 Today, I am thrilled to share with you my next role in that fight: leading an effort with the Working Families Party to help recruit and elect more working-class people to run for office nationwide and to fight for a Green New Deal. We have some big plans, and I can’t wait to get started. Can you chip in $3 to help me build our program to recruit and support more working-class progressive candidates in 2019? But for too many people like me, even the idea of running for office seems impossible. It was just about two years ago that I met with Rebecca and Marina from the Wisconsin Working Families Party for coffee, and they asked me if I’d be willing to take on Paul Ryan. At first, I thought they were crazy. But knowing I would have their support and that I could count on our entire movement eventually convinced me that I could run. And the rest — like Paul Ryan’s disgraceful career — is now history. I’m not going to lie. I wish we had won. But though our campaign came up short in November, we built a grassroots movement that won national attention, scared the Republican Speaker of the House into retirement, and showed everyone what’s possible when working families come together to support one another. And we didn’t have to accept one cent in corporate PAC money to do it. Now that Democrats have taken back the House, we have a real opportunity to move bold, pro-worker legislation like the Green New Deal forward. But we can’t rest easy. We are going to need to recruit an entire new wave of progressives in 2019 and 2020, and also make sure that the Democrats we just elected to Congress actually fight for our values once they get to Washington. That’s why I hope you’ll consider joining me in giving an end-of-year contribution to the Working Families Party. With your help, we’re not only going to recruit and elect the next generation of working-class candidates from all backgrounds, we’re also going to keep building support for a Green New Deal that will rebuild our infrastructure for the 21st century. Can you chip in with an end-of-year contribution of $3 or whatever you can afford to say you’re with us in 2019? Thanks — and let’s get to work! P.S. Check out this article in The Guardian for more on my new role with the Working Families Party.